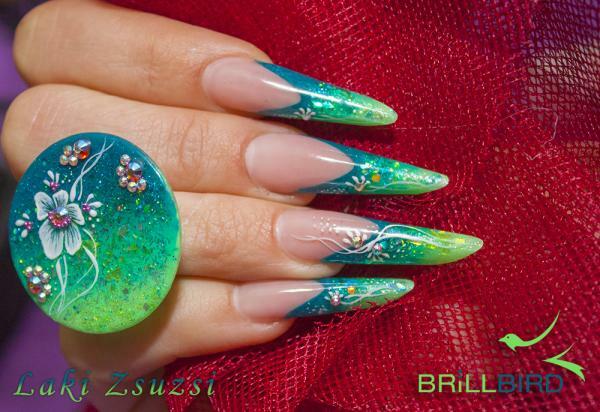 Real Ice Queen nail was born with icy purple gradient and discreet elegant decoration under Franciska Roszmann's-BrillBird racer, multiple champion-brush. 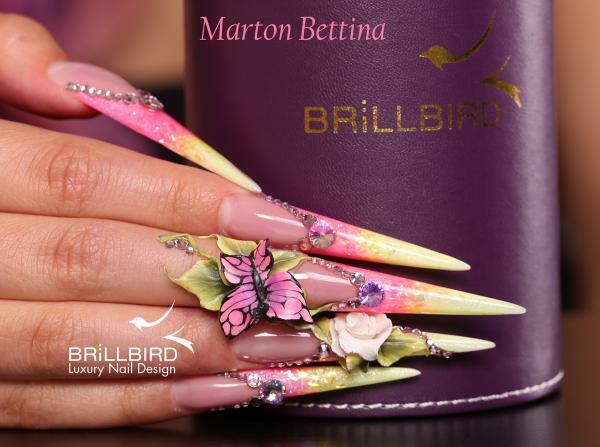 On the Facebook we crossed the magic threshold, BrillBird have more than 100.000 like , every day more people following us , curious works of instructors , nail samples submitted by customers , promotions . On this occasion, it was elegant purple nails.